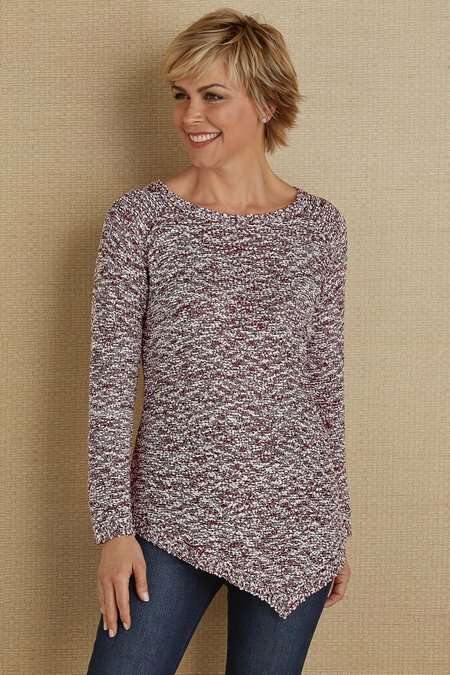 On the party circuit or your daily rounds, add a little shimmer with this textural bouclé sweater, fashioned with petite knit-in silver sequins that sparkle in the light. Long raglan sleeves and an asymmetrical hem complement the notable chic-ness. Poly/acrylic/nylon. 25"/31" long.